There’s no doubt about it, 2016 has been a pretty incredible year for me. I’ve had some soaring highs and felt pretty low at times, but I’ve also had the chance to experience some thing I never could have dreamed I would. I crossed three continents and ticked off my 30th country, worked with hotels, spas and restaurants either side of the globe for this blog, I said goodbye to love so that I could travel Europe solo and I made some incredible friends along the way. I’ve worked as a sales manager, a cocktail waitress, a journalist along the way and all the while I’ve been working on creating amazing content for this blog. 2016 has been a year of working hard and playing harder, and as it draws to a close I can’t help but reminisce over the special times I’ve shared with amazing people. From the teary goodbyes at the airport, to the mates I’ve shared incredible road trips with this summer, to the incredible welcome home I got from some of my best friends when I arrived back in Melbourne. Getting the opportunity to celebrate a real Aussie Christmas surrounded by so many amazing friends was a perfect way to end the year. But what have the highlights been? Without a doubt, Melbourne is my number one for the year. Voted the Most Liveable City in the World six years running, it’s no wonder I’ve just moved back here for the second time. I lived in Melbourne at the start of the year and it was the first place in nearly two years that had felt like home. I had an amazing flat, a great job as a sales manager, the most incredible friends and I completely fell for a great guy. Now I’m back for round two and I’m already well on my way with a great job at a rooftop bar and my own brand new apartment. Melbourne, you are well and truly my second home. A city I had dreamed of visiting for years, Budapest was everything I had imagined and more. I loved the history, the beauty, the architecture and the people I met there. Part of my summer backpacking trip around Europe, it was a perfect opportunity to explore the city independently and to have some amazing experiences. One of my favourites was eating dinner in a traditional Hungarian restaurant with my newfound Aussie and Norwegian mates talking about the world under a blanket of stars. Visiting Budapest reminded me how much I love exploring a new city alone on foot, and it’s a city I can’t wait to revisit. Slovenia was an amazing experience – not only did I get to explore some of Eastern Europe, a dream of mine for several years, but I was invited along on my first blogging trip. It was an amazing privilege and a reminder of how hard I have worked to build up this travel blog over the last few years. Spending a week at a luxury glamping site on the Slovenian/Croatian border was a fantastic way to see the country – from woodland hikes to swimming in the rivers, to visiting locals and eating feasts of freshly caught local fish. The people, and the place, made it unforgettable. My second blogging trip of the year came about only as a last minute plan – I was at a low point and unsure of what my next move would be when one of my best travelling friends invited me to Bali. It was the best decision ever and led to my being invited along to review hotels, spas and restaurants on the island. What was supposed to be a week-long trip turned into a month and yet I still wasn’t ready to leave. I explored the Bali countryside on motorbike, visited temples, explored monkey forests, swam in the waves, spotted manatees and swam with sea turtles. It was the holiday I had needed – not just travelling, it was a holiday and one of which I appreciated every second. Definitely the most breathtakingly beautiful place I have been yet, by far. Tasmania was somewhere I had longed to visit since arriving in Australia and “mini-New Zealand” definitely lived up to the hype. I spent three weeks there staying in the best hostel I have found yet in Australia, exploring Hobart and road tripping around 11 national parks in just 10 days. I hiked for days on end, camped wild under the stars and the full moon, I climbed several mountains and spotted countless whales, kangaroos, wombats and wallabies. It was a magical experience and one I’m so glad I made happen, it was just what I needed. A true breath of fresh air. After such an incredible year, it’s hard to imagine just how 2017 could top 2016. I’ve travelled to eight different countries this year, I’ve lived in two of them long-term, I’ve gone from outback living to city slicker to beach babe and total mermaid. I’ve taken my clothes off on top of a mountain in the snow, I’ve changed my mind in 10 minutes and booked a spontaneous flight to the other side of the world. I’ve refused to stop living my dream for anyone other than myself and I’ve made a plan for the future. It’s an exciting time to be Absolutely Lucy and it all starts again when the clock strikes 12 on New Years. Another fresh start, another exciting adventure and another dream come true. I’m ready, are you? Where has been your favourite place to travel to this year? Have you enjoyed following my adventures? What are your travel plans for 2017? If you’re making travel plans for 2017 already – look no further than Sunshine for cheap holidays that will bring your dream destination a little closer. With hotel deposits from just £1 and holiday deposits from just £50, they’ll help you make your dream trip a reality. Your so lucky to have travelled to so many places last year! I went Cancun and and Cyprus in 2016 which were amazing but I would love to do more this year. Melbourne looks amazing, i would love to go someday. I really am Shelise, it worked out so well! Ahh I’d love to go Cancun one day 🙂 Cyprus is amazing isn’t it – such a great country <3 you should definitely visit Melbourne one day, my fave city in the world! You’re 2016 travels sound amazing! I definitely want to do some more traveling this year after going on my first holiday in over 5 years, but it’s so hard when I have to try and balance holidays with working Monday-Friday 9-5. I really want to do a lot more this year and see parts of the world I only see in pictures. 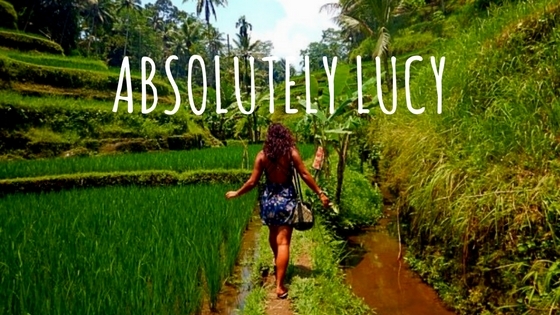 Bali looks and sounds amazing it’s going on my bucket list!